Now check out our booths...contemporary, modern, fully customizable! Our booths fit into any setting. Scroll down for our fabulous custom options! 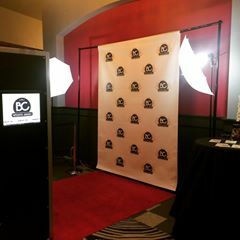 Here are just a few of the many possible ways to customize our photobooths for your unique event! Different colour backdrops? colours Green screen? Booth wrapping? Custom slideshow running on our exterior monitor? Custom-themed prop box? 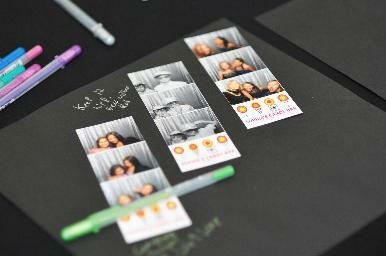 Our Custom Photo Album Option gets rave reviews! On-site album host to put it all together! Our 'Prop Box' is tons of fun! Your guests can dress up and have a blast! the centre of the frame. On-site frame host to put it all together! Make cool wearable buttons from any picture!